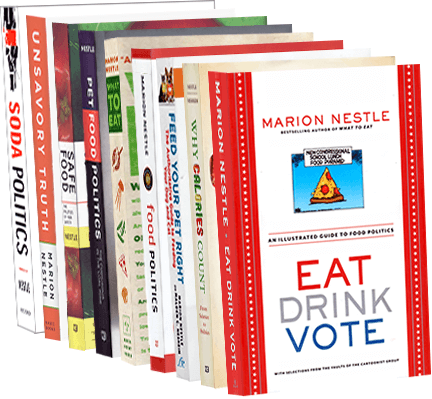 Food Politics by Marion Nestle » School food: it can be done! On the day the Times piece appeared, I was doing a tour of a couple of New York City school lunch programs. One was to a small K-to-9th grade school in the low-income Bedford-Stuyvesant area of Brooklyn. This school may not have had much money, but it had everything else needed to make school food work: a devoted and smart principal, a committed staff, and a school food director who set high standards. The food looked, smelled, and tasted good and the kids were eating it. How did this school perform this miracle? Easy. Everyone cared that kids got fed and liked what they were eating. The next stop was Brooklyn Tech. Same food; different experience. If caring was present, it didn’t show. For one thing, the junk-food vending machines were in the lunch room (not a good sign). Worse, they were open for business (a flat out violation of federal rules). Even worse, nobody seemed to be doing anything about it, at least as far as I could see. My conclusion: school food can be really good, even in poor neighborhoods, if everyone involved cares about it. Can we teach schools to care? Of course we can. And officials can make it harder for schools not to care. The New York City Education Department says schools have to cut way down on bake sales, with exceptions for parent groups, parent-teacher associations, and birthday celebrations. This policy will undoubtedly elicit complaints, but I don’t have much sympathy for complainers. School kids are bombarded with junk food from multiple sources all day long. If they didn’t eat so much of it, they might eat real food and support the school lunch program to a greater degree. That’s why those open vending machines are so troubling. The messages they send are “it’s OK to eat junk food in school,” and “it’s OK to disobey federal rules any time we want to.” Not a good idea.